This week, the in-demand job is Ironworkers. We spoke with Tim Tillie, an ironworker who works as the General Foreman at AC Metal Fabricating. 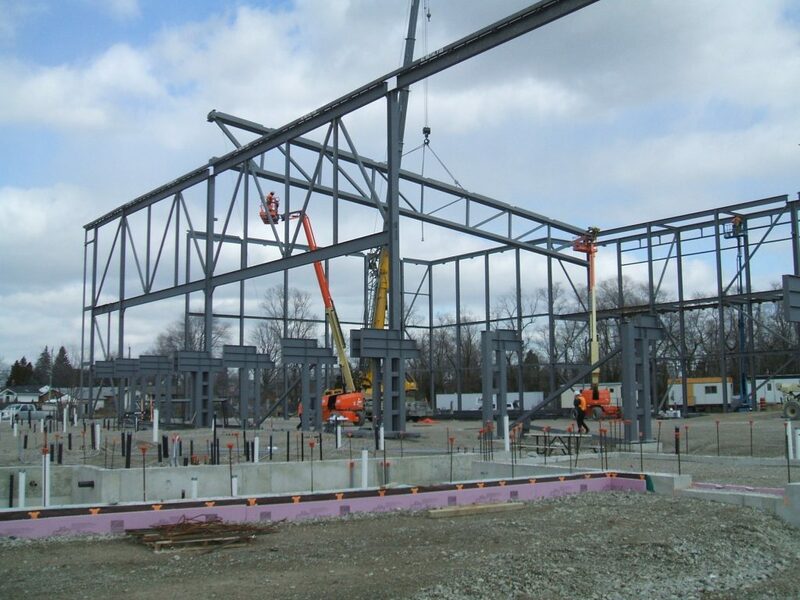 You can learn more about Ironworkers through our detailed Career Profiles. What is an average day like for you as an ironworker? 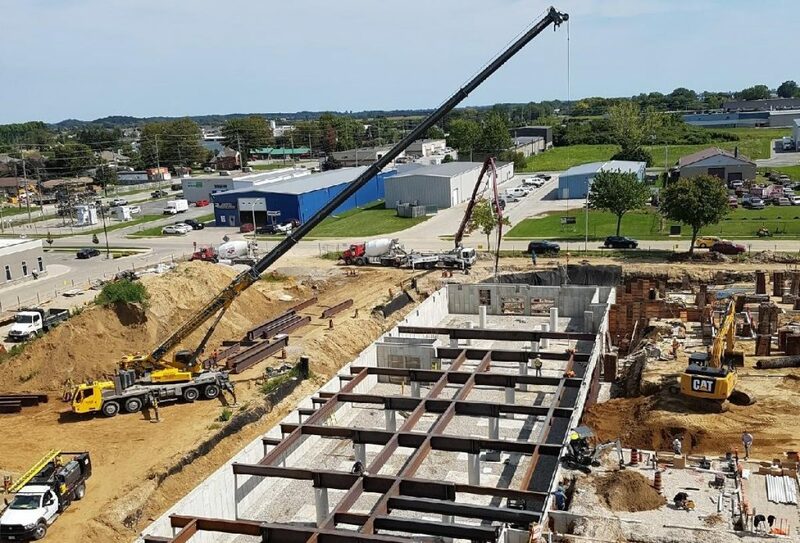 We work with heavy beams, columns, and other steel members to erect steel. We work high up in the air. To do this we use a wide variety of machinery like cranes and aerial platforms such as zoom booms – which are lifts with a basket and a boom that scopes in and out, to help us get into tight spots. We also use scissor lifts- scissor lift is a great big platform with guard rails on all sides that elevates us straight up, it’s on wheels so you can drive forward & back while in the air. It gets us up to our working area. 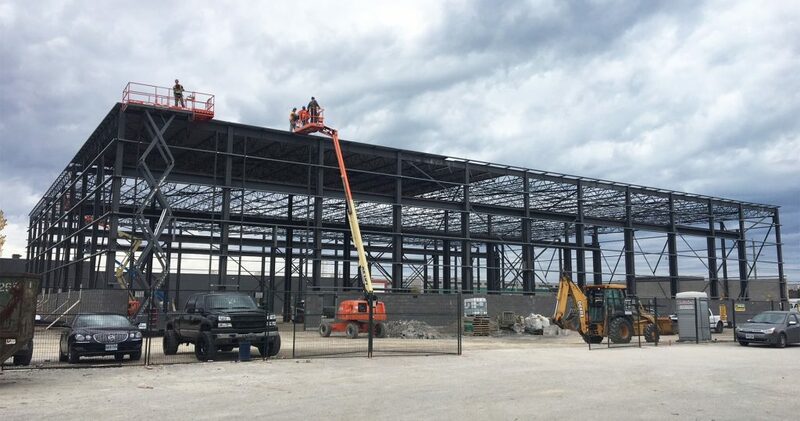 Once we’re up there, we’re connecting the steel members together by means of bolting and/or welding, all while making sure we’re safe and tied off properly but also ensuring the safety of the public and other trades around us. How long have you been an ironworker? What got you started? I’ve been on the job for 35 years now. I’ve always liked welding and putting pieces together and stuff like that. Right out of high school I got a job fabricating steel inside a local shop. I was welding clip angles and drilling holes, fabricating the pieces for the ironworkers. I was in that for a little bit but I was intrigued by what the ironworkers were doing outside. Back at that time I had to go to George Brown College in Toronto for two months every year for specialty training. But now the apprentices going through the trade can do that schooling here in Windsor. Our Union- Iron Workers Local 700 has its own school/training centre in Windsor. There’s a welding section to get certified for welding tickets. They teach you all about the heavy equipment and you can get your ticket for the scissor lift, forklift, and the zoom boom. There is also training for working at heights. Everything you need is right there. Anything that they don’t offer, the companies will offer, but there isn’t much they don’t offer there. WHAT ARE THE Typical STEPS TO BECOMING AN IRONWORKER? First you need to register with Union- local 700. Then you keep a record of the hours you work on the job in the field with the journeymen/ironworkers. You also need to complete all of the training requirements at the school, and pass all the tests for the machinery. Then you write the exam for the Certificate of Qualification to be an ironworker. Then there are other exams after to become Red Seal Certified. My favourite part is working up in the air. 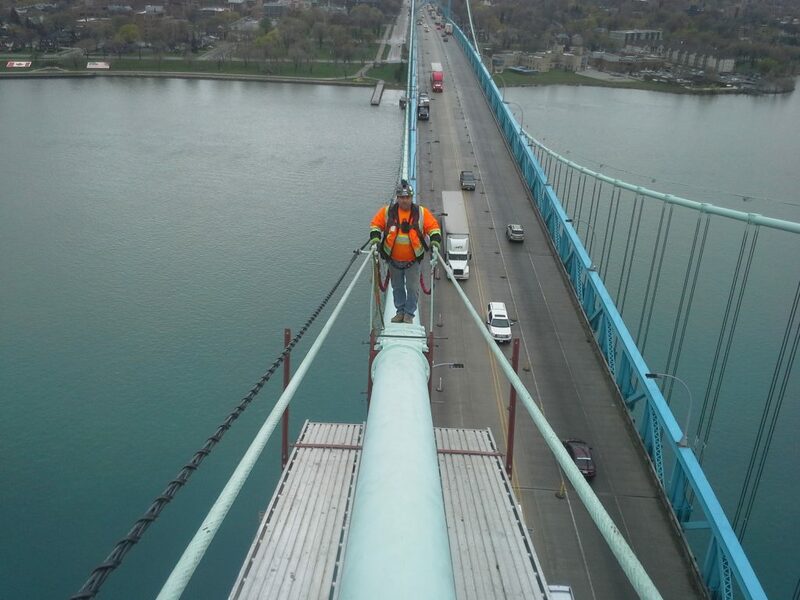 We do a lot of repairs on the ambassador bridge, I like being up there. Every job is different but I like a lot of the jobs we do. It’s just really nice to see a project all come together. Sometimes when people first come into the job they’re a little nervous with heights. Takes a little while to get used to, it’s not something that you can just jump into. It’s a joy though. To be up there and put the steel together. It’s just like little kids when they’re putting the little Legos together or puzzle pieces. What would you say is a challenging part of the job? Working outside can be challenging. Weather conditions- really hot days or really cold days, or very windy. It can be hard to work. Safety comes into play in that, especially if it’s cold and there’s some ice on the steel. Can you tell me a bit more about safety and working at heights? Ironworkers learn all that at the school here in Windsor at the Union Hall. The instructors there train students for working at heights. They teach them about the harnesses, tying off, and the different things to tie off to. Then the companies themselves have their own systems and policies. Like there are different clamping systems that allow the workers to tie off to beams. There are a lot of safety mechanisms out there for us to use. It’s a very safe trade. Yes you’re working at heights, but you just have to make sure you’re tying off right and playing it safe. Do you have any advice for someone just starting out, who might be interested in this trade? You can’t be afraid to work in bad weather – you have to be flexible. Some people only like to work in the summer heat, or only in the cold. You have to be able to do it all. My advice would be to get your hands on some steel and try it out. You need to know the weights, welding, and different things like that. Do a placement when you can, get as many hands-on learning opportunities as possible. In school you can go through blue print reading or metallurgy and welding classes just to familiarize yourself with this trade and decide whether or not you like it. The thing is, it takes a lot of time to go through your training and everything else, and if welding and working with steel isn’t your thing, it’s great to find that out early on in school. Is this a trade you see growing in Windsor? What part of your job is unique to this region? 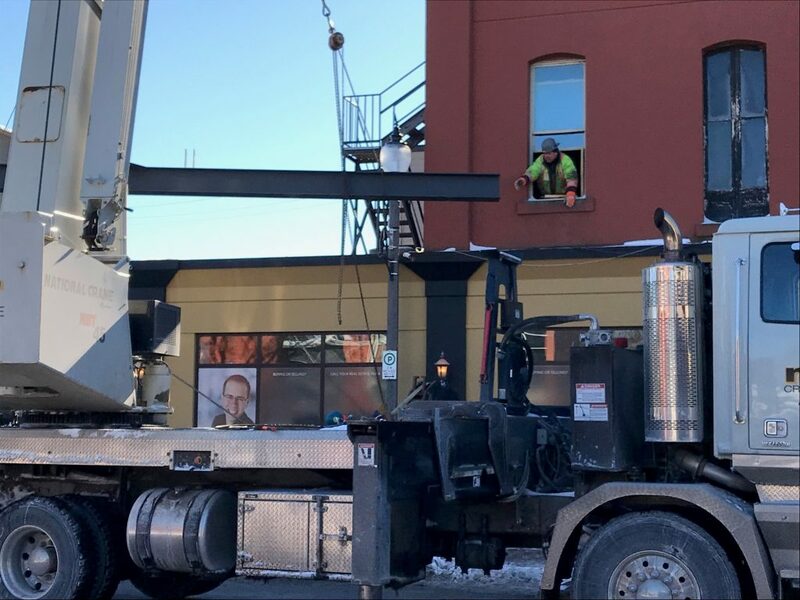 In Windsor, there is always a building that’s going up or a building that needs to be renovated. There is an old fire station on the West end of Windsor at Sandwich and Mill that were turning into a new library. We’re building a catwalk going between the old buildings, we had to reinforce the old wood floors with beams. There’s always something that needs to be done. With the Gordie Howe Bridge going up, iron workers are definitely going to be needed for that. We’ve done a lot of work on the Ambassador Bridge. There’s a lot to know about working on bridges. Can you tell me more about working on the Ambassador bridge? We’ve replaced rivets and bots on the bridge, we’ve been working on that for quite some time now. We’ve been doing a lot of the steel work, we’ve done all the cable inspections too. The big cables on the bridge have like 5000 little quarter inch cables inside. We have been specially trained on how to inspect these. There’s a process to do and we’re the only Canadian company that learned how to do that. We went all the way up from one end of the bridge to the other checking the cables. In some places we have to open it up and cut a cable and splice a cable because they want to take it for testing. Up at the top where it says Ambassador Bridge, they had us put a kick-plate across the top of that so that when the electricians change a light-bulb, if they drop something, it won’t fall onto the roadway. Photos in this blog post have been generously provided by: AC Metal Fabricating Limited. All opinions and statements in the blog post are the opinions and statements of the interviewee. 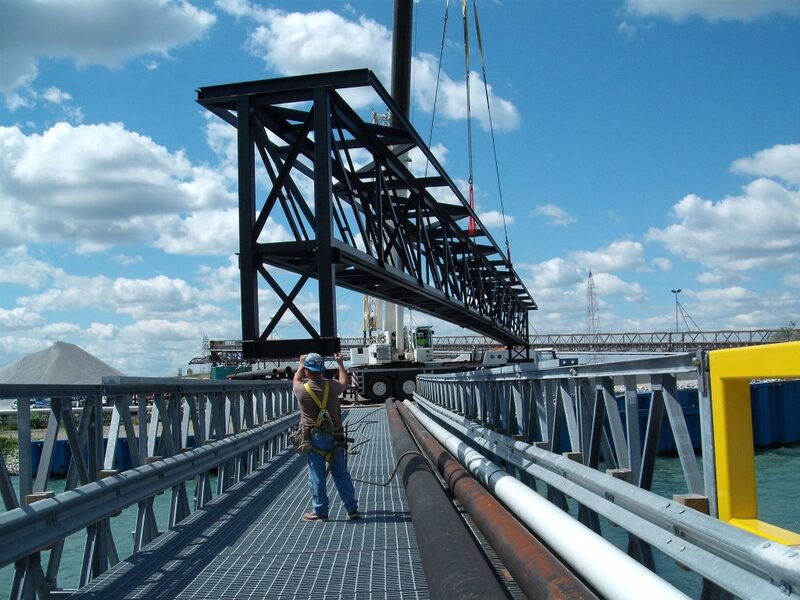 You can learn even more about Ironworkers through our detailed Career Profiles. 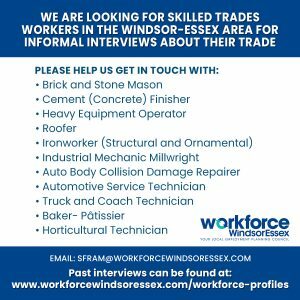 Do you work in a skilled trades position? 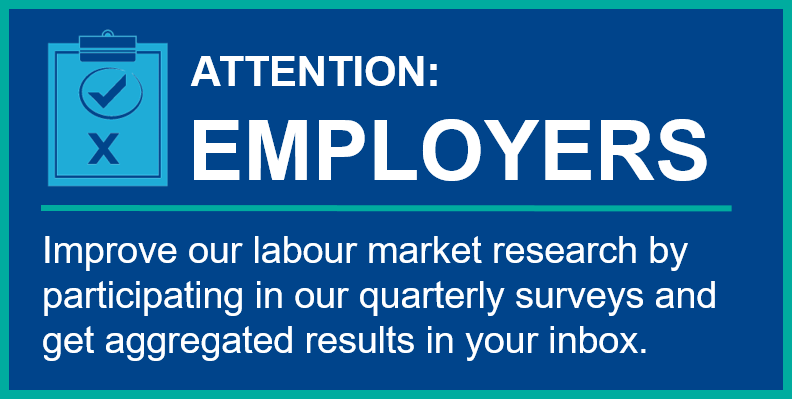 Are you willing to be interviewed for a Workforce Profile?